@Frankie - I won't be in the line kicking you because I'm still kicking myself. In the 50's & very early 60's when you got too old for the cards you passed them on to a younger sibling or cousin. I aquired shoe boxes of cards from a cousin and later passed all my cards on to a cousin (I was the only boy). Who Knew? Wish I had them now. I'd be rich!!!! Best gum around ! We bought the packs for 5 cents at Rexall's drug Store ! 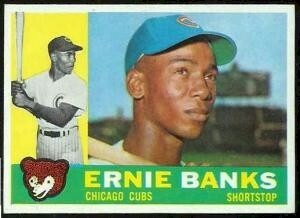 I didn't start collecting cards until the early '70s, but the gum was still the same. Stiff as a board and lost its flavor within a few chews. Living in Brooklyn in the '50's, I can't tell you how many Mickey Mantle rookie cards I set aside every time I bought a pack. They're long gone now, but who knew what they would have been worth today had I kept them. Anyone care to form a line and kick me? the gum was SO GROSS....we used to throw it in the back window of the car and let it dry out until it shattered....or use it as a weapon to throw at each other!